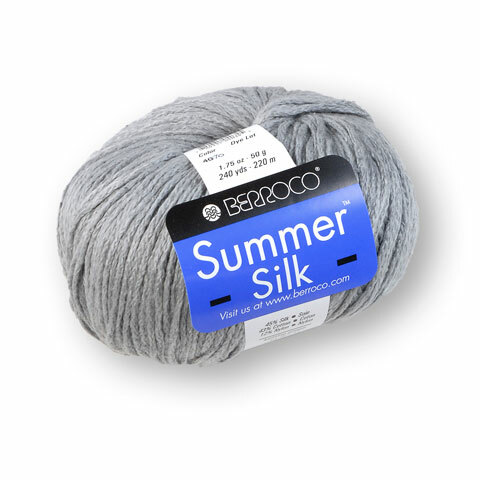 A luxurious blend of cotton and silk, this chainette yarn is incredibly soft to the touch. It’s the perfect choice for a garment or accessory this time of the year. A dreamy yarn deserves dreamy patterns: these six knitting projects are ideal for this silky smooth DK weight. “Maccabeau”, a simple oversized tee that is worked side to side, forming the sleeves and yoke in a lovely cable and lace pattern. Stitches are then picked up for the body and knit down, making the length easily adjustable. “Granache” Wrap yourself in luxury! 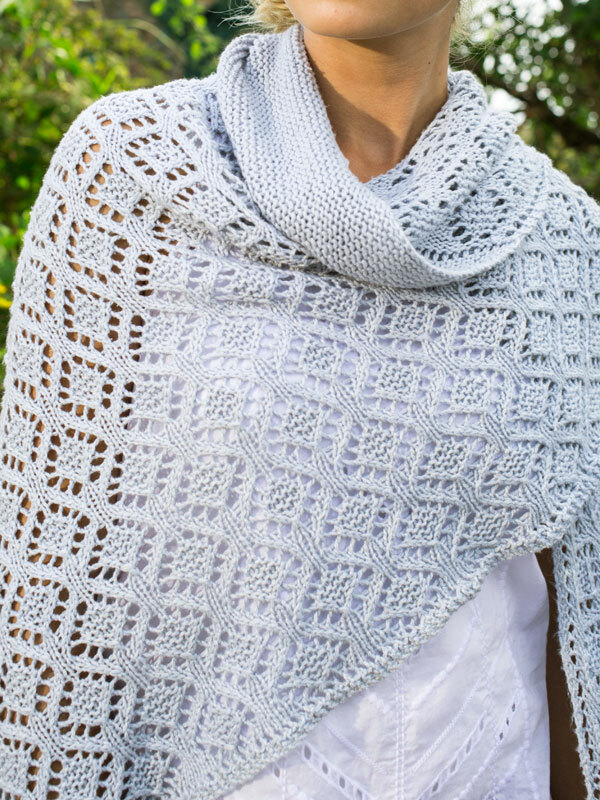 This oversized triangular shawl knitting pattern features an easy to memorize lace knitting pattern. “Catarro” Sweatshirt details combine with a Henley texture in this casual, comfortable knitted pullover. This sweater begins at the bottom hem and is worked in the round to the armholes; front and back are worked flat. “Airen”, A unique construction gives this crescent shawl knitting pattern incredible drape and shape. Designed to sit perfectly on your shoulders, this ethereal shrug is simple to knit and delightful to wear. 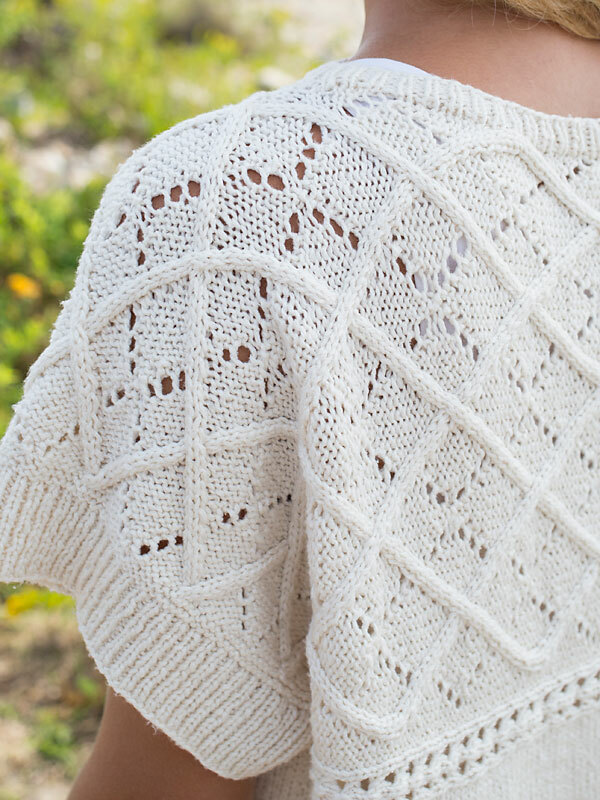 “Chenin”, a romantic summer cardigan knit seamlessly from start to finish. 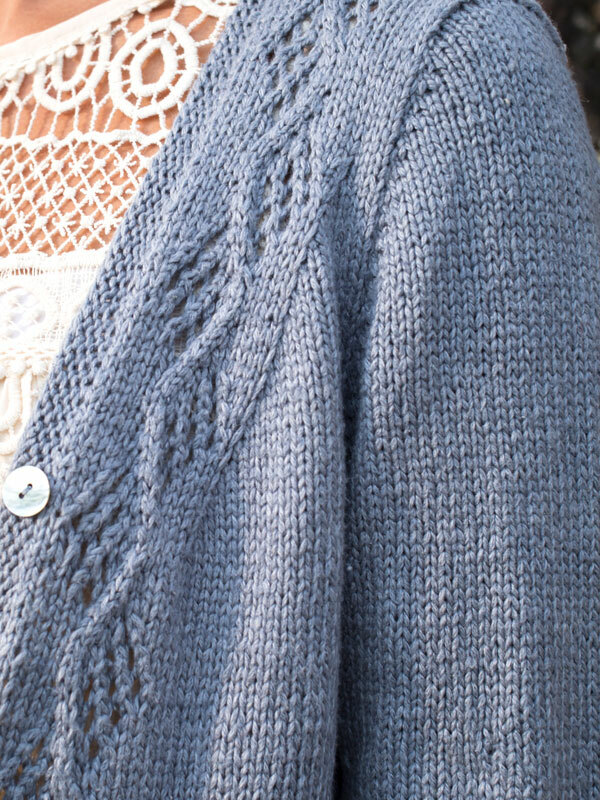 Beginning at the back neck, the cardigan flows into the simple lace panels at the fronts. 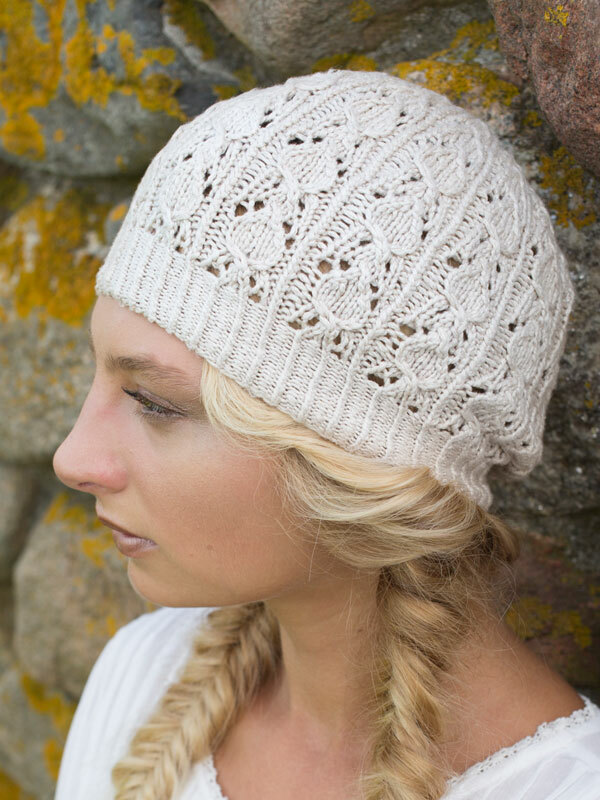 “Semillon”, A cable and eyelet stitch pattern is worked all over this simple knitted hat. Find all of these patterns and yarn in the shop.